We’ve sold not one but TWO batches of SaveMitchell.com t-shirts. Each one costs $25 ~ $15 goes directly to helping keep our brave hero alive. What a great idea ~ you donate to dialysis supplies that helps Mitchell wake up each morning as he waits for a kidney donor, and you also get a fashionable, comfortable t-shirt. How it works: Our fund must sell 50 shirts in 50 days for the fundraiser to be completed. Once we hit # 50, credit cards are charged, shirts are printed, then shipped to those who purchased. The clock resets and the whole process starts over. To date, due to this initiative, we’ve donated $1,500! Let’s keep it going, and keep hope alive. 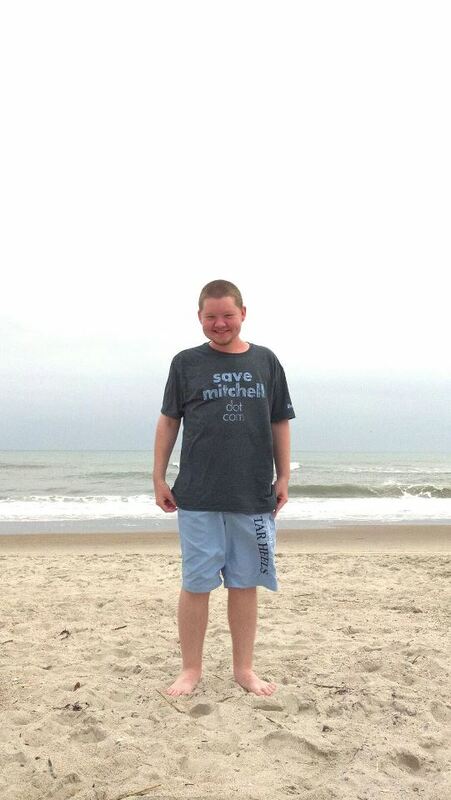 Get your own t-shirt by clicking here, or gift one to a person you love in honor of Mitchell.